Editor's note: This article originally published in 2014, but the timeless advice still applies. Sometimes the biggest pain with a new PC is simply buying it, especially if you’re eyeing one of those Black Friday deals set to go live later this week. Thanksgiving weekend can be a great time for deals, but it’s also notorious for massive crowds and long waits. This year, try something new. Instead of leaving your Thanksgiving dinner and the warmth of family and friends behind, fire up your laptop, tablet, or smartphone and shop for deals online. 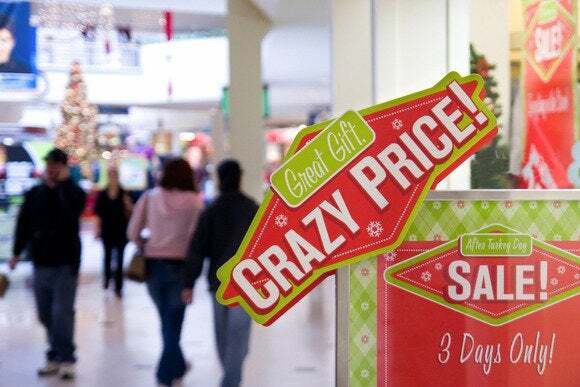 Sure, you might miss out on some jaw-dropping doorbuster deals that are in-store only. But here’s the truth about doorbusters: Most stores stock precious few of those amazing doorbuster deals, making your chances of grabbing that $200 laptop slim anyway. If you ask me you’re better off staying home and shopping online. But even web shoppers need a few strategies to make the most of the deals. Here are five tips to get you through your PC shopping bonanza this holiday season. 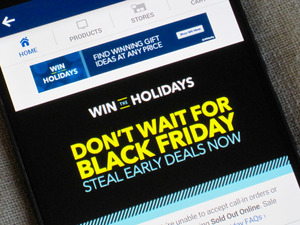 There are tons of sites putting on Thanksgiving, Black Friday, and Cyber Monday deals, but according to the savvy shopper site DealNews there are five major online outlets you should focus on for the best deals: Amazon, Best Buy, Newegg, Tiger Direct, and Walmart. You shouldn’t by any means stop at those five—Ebay is another site that can surprise you with unexpected deals during the holidays—but they are a good start. Okay, I know I just said doorbusters are less than ideal, but some of those marquee deals will be online too. Check your Black Friday circulars to see if they mark which deals are in-store only and which are in-store and online. You can also check out the advertised deals online the day of, to see if they’re there. Deal making doesn’t just happen on Black Friday. Thanksgiving Day itself can have online deals starting in the evening or earlier. Cyber Monday is also a big deal. While some of Cyber Monday’s deals are just warmed over leftovers from Black Friday, you can also find worthy bargains that are Cyber Monday only. While it pays to look around for deals (even online) don’t get taken in by claims of great deals from sites you’ve never heard of. Sure, some of those sites could be legit, but major sales periods are also an ideal time to part unsuspecting shoppers from their credit card numbers. There are good deals to be had this weekend, but even if you’re shopping online it pays to have a game plan.